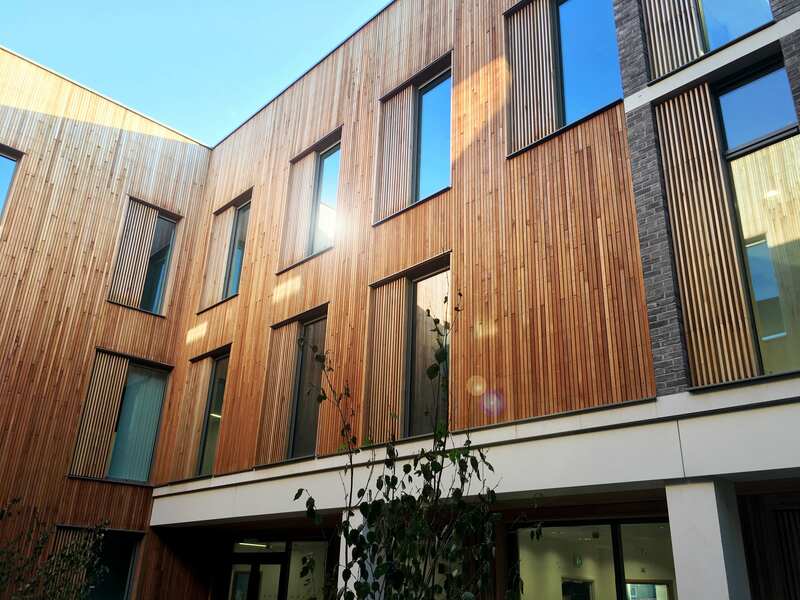 Multi-disciplinary design and engineering company BakerHicks has completed its part in the successful design and construction of the new Gorbals Health and Care Centre. The Glasgow city centre facility, which opened to the public at the end of January, consolidates a number of local GP, social care and dental practices within a single, sustainable and fully accessible building. Appointed by hub West Scotland, BakerHicks provided the civil and structural design of the new £17 million building, which incorporates a steel framed structure with composite floor slabs. Working closely with JM Architects, BakerHicks’ knowledge and expertise were also used to influence the floor layout proposals to achieve the most structurally-efficient and cost-effective design possible. This minimised the tonnage of steelwork and concrete required, as well as reducing the volume of material needing to be taken off site, helping meet sustainability targets and avoiding costly landfill charges. Andy Gotts, director for civil & structural engineering at BakerHicks, said: “This architecturally impressive building is the second of five new facilities we’re involved in that mark a step-change in local health and care provision in Scotland. We’re proud to be delivering civil and structural engineering services across these, with each providing unique design challenges. It follows on from the award-winning reference design project, Eastwood Health and Care Centre, which was completed in 2017. Work on three further centres is currently under way, with Woodside Health and Care Centre in the North of Glasgow being close to completion; construction underway at Greenock Health and Care Centre; and Clydebank Health and Care Centre at the detailed design stage.